Unicode is a standard for the character set, encoding and handling of text expressions. 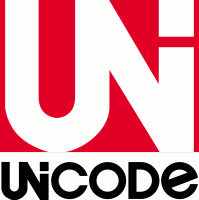 Unicode codepoint is referred by writing "U+" and 4 hexadecimal numbers. For codepoint outside BMP, 5 or 6 digits are used.